Sports are more than just another form of a game; it is a way of life for the people who are in it; they not only play different sports, they live it! This spirit has led to an emergence of sports as a career option where people have got to explore their interest in this field, work on it and further develop their skills and interest. The above-given quote by the famous American newspaper columnist is well evident of the power of sports and its role in today’s society. 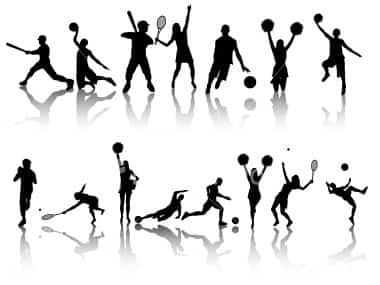 Sports are well reflective of the excellence that is present in society, and it also plays a significant role in enhancing this very excellence found in different individuals in the society. Forty years from now every parent who educated their child wished they should be an engineer, doctor, IAS, IPS, etc. 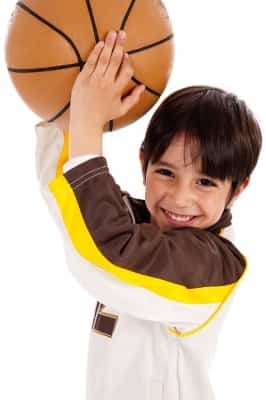 If their child wanted to pursue sports as their career, they would be like there are better things to work on. People are still somewhere sceptical about this profession.Time has changed, and the ideology of people needs to change too, sports as a career should now be respected and looked up to. Over the years the approach and mindsets towards have changed a lot, apart from being a sports persons, there has been a steady rise in sports-related professions and services too. Sports, as a field of knowledge and practise, are like no other. It’s not only present at the micro level but is also given immense importance at the macro level. Unlike what the traditional ideas say, sports are not just about talent or skill; it is also about the hard work, perseverance, focus which are equally necessary to succeed in this field. Success in this area is accompanied with a fair share of fame and glamour which adds to the perks of entering this field. To get into this area of career, one has to show a significant level of dedication. He must be well aware of the sporting events, various career options available and rules of different games. People who love getting an adrenalin rush can opt for adventure sports. Here is a description of what everyone looking for a career in sports is aiming for, to be a sportsperson. He is the highlight of his sport as he is the one playing in the field, working towards victory, by himself or with a team, depending on the kind of sport. Apart from being a player in the team, the next best thing to this is the coach so as to train the entire team and realise their potential in the best way possible. It is also important for the coach to identify the strengths and weaknesses of the team members and help them to work in coherence with each other. The “how to” become a coach is relatively simple as it requires the candidate to have expert knowledge of the game and prior experience is an added advantage, he then proceeds by applying for the position available in the sport. There are also courses offered by universities to gain knowledge upon how to become a coach. A lot of people want to enter this field but not necessarily as a player or a trainer. The alternative for them is to use their management skills and become a team manager. A team manager looks after the business related matters of the team they are looking after. They manage the travel plans of the teams or players to different cities. They also take care of the finance and book various tournaments that the team will be playing during the season. One does not have to be a player to be on the ground; one can also choose to be an umpire or referee. An umpire or the referee is the one regulating and executing the rules of the game while the match is on and his decision is considered to be sacrosanct. Every sport has its board, and every board sets guidelines for a registered umpire/referee. This career option is for one who has a flair for writing or journalism and at the same time has an intense liking for sports. He has to develop a niche for himself in the sports world and manage all the reporting in this field. They must be able to convey factual information, but also put a slant on things that make their content unique. Some Indian colleges offer journalism in the field of sports, especially the program provided by Pune University is extremely comprehensive. One can choose to become a sports journalist. Sports psychologists' jobs may vary on a daily basis, depending on clients' needs. Volunteering or working as a sports coach to best understand the athletes' experiences and the environment. One can also enter into the industry by opening his own business by supplying or manufacture sports equipment that is wanted by different teams/clubs etc. and set up showrooms so as to open their doors to non-players as well. One can graduate in law and then enter the field of sports by introducing the board of different games in the nation by fulfilling the individual qualifications and develop laws and policies related to various sports. In India, there are different guidelines to enter into sports through law. Indira Gandhi Institute of Physical Education and Sports Sciences, New Delhi. Even though sports as a career option is unconventional and does not necessarily involve any degree to get into the field, it is definitely a place full of passion and determination where everyone is dedicated towards their job, and you get to work with people who are passionate about their work and love what they do thus, ensuring the top-notch quality of work within the field of sports.